While we can’t compete with oil & gas interests when it comes to using money to influence local politicians and buying off communities, we have identified some targeted campaigns to effect change in Erie. You can access the GoFundMe campaign at https://www.gofundme.com/erie-protectors-fund . $200 towards a Facebook advertising campaign to grow the membership of the Erie Community O&G Monitoring group to 2000 members. We just broke the 1000 member mark, and intend to reach this goal with your help by the end of December, 2017. $500 towards 50 qty. 12″ x 18″ yard signs with stakes that supporters can put in their yards to show their support for our movement. When we meet our $1000 goal, each of the first 50 donors above $25 will receive a yard sign. We’re still working on the design, stay tuned for details! $300 towards 3 new message inserts (gobos) for the Erie Light Brigade. Currently, we have “Ban Fracking”, “Ecotrocity”, and a few others, but want to project personalized messages that are particular to our town. We’ll put a poll up on Facebook to choose the best messages! Any additional funds raised beyond the $1000 goal will be used to increment each of the above three efforts. $785 via a limited-audience GoFundMe campaign in September 2017. 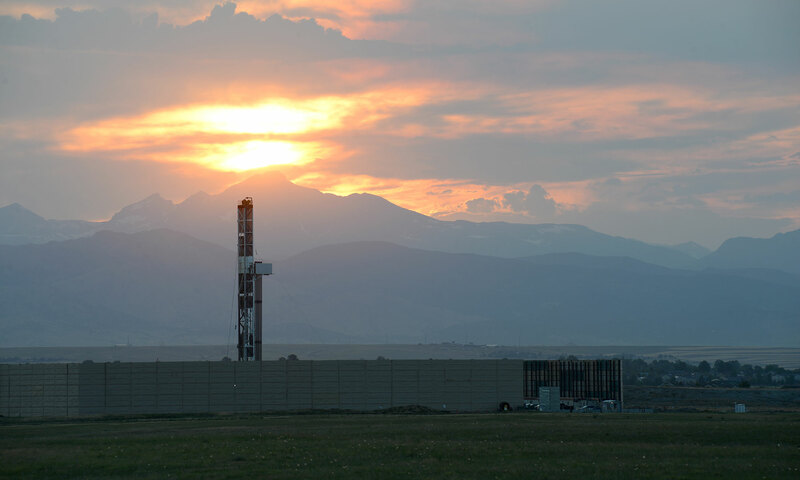 $590.52 for 1,000 qty Front Range Oil & Gas Infrastructure maps.